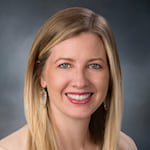 Emily Skor is CEO of Growth Energy, and previously served as the Vice President for Communications of the Consumer Healthcare Products Association and the Executive Director of the CHPA Educational Foundation. Before joining CHPA in February 2011, Skor served as Senior Vice President at Dezenhall Resources, a nationally recognized crisis communications and issues management rm. For more than a decade, she helped Fortune 500 companies and industry associations manage issues affecting brand con dence and corporate repu- tation through media, advocacy, coalition building and consumer education campaigns.